With all the hype around social selling, it's easy to get pushed into a "me too" corner. This presentation will show you how to leverage your online presence to be seen as a resource and knowledge expert using LinkedIn Groups and connections. 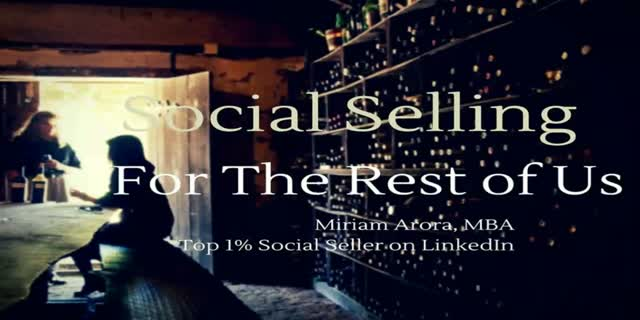 This presentation delves into social selling. What is it? How does it affect my sales? Is it worthwhile? How do I know I've succeeded? If you're using social media tools but unsure if you are making a difference, this course will show you how to make the right impression and leverage social selling to benefit your bottom-line.